Making Learning About Money Serious Fun! 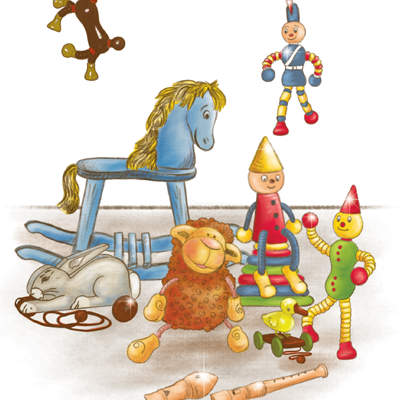 The Financial Fairy Tales are a series of inspirational children’s books which make learning about money serious fun! Whilst teaching values, habits, tools and skills for financial success, The Financial Fairy Tales help your children learn about money and sow the seeds of wealth creation. Your kids will love following the adventures in these beautifully illustrated stories. As a parent, you will feel more confident as they learn essential and empowering messages about money and life. Children learn through stories. 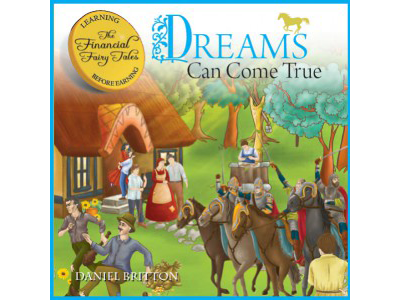 The Financial Fairy Tales are fun and engaging story books with positive, empowering money messages. Lively and colourful illustrations bring the stories to life! The books are recipients of several international awards and recognised by Financial Education bodies in the UK and USA. Take control and help your child grow up with positive ideas and habits around money, rather than rely on the media or what they learn by chance. Our financial education teaching resources have been designed to help you deliver exciting, interactive lessons, making learning about money serious fun. They focus on important money values as well as the practical tools and ideas such as saving, borrowing and investment. 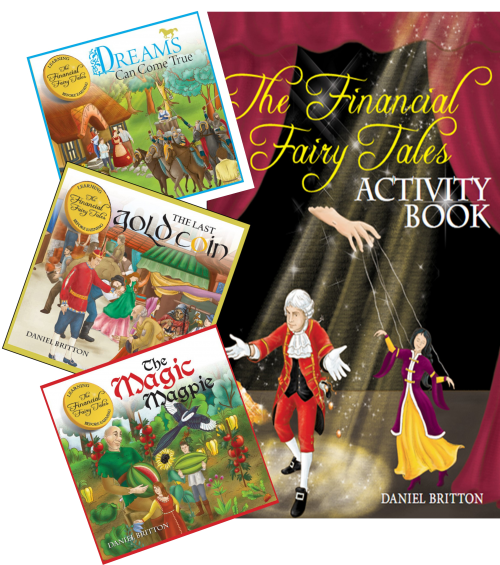 ‘The Financial Fairy Tales’ are suitable for use as standalone materials or as part of Maths or PSHE at Key Stage 1 or Key Stage 2 (age 5-11). You can request a free sample by adding your details to the form on the right. 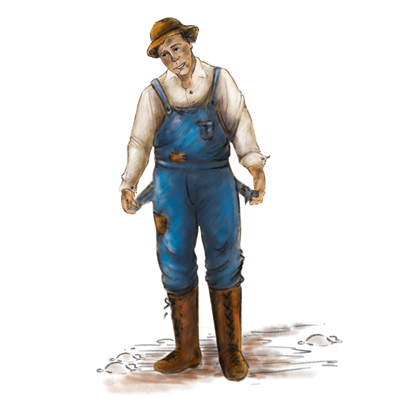 Follow the adventures of Tom the woodcutter’s son with big dreams. With the help of his wise uncle he puts a plan into action to prove himself to a rich Duke. But is success snatched away at the last minute? Money values your child will learn include: entrepreneurship, saving and believing in your dreams. Tells the story of a Prince whose act of generosity starts a chain of events to save a kingdom. 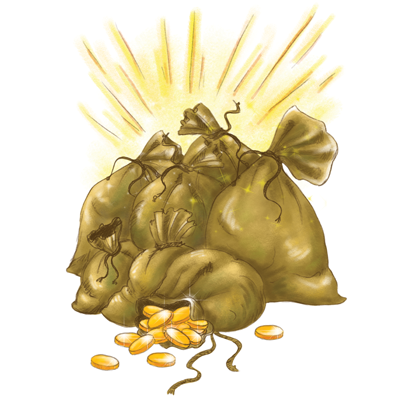 Whilst a mysterious stranger magically multiplies gold and together they tackle a wicked witch. What happens to a kingdom once the money runs out and what can the people do about it? – just some of the important money messages in The Last Gold Coin. Hannah’s desire to get rich quick lands her brother in Giant trouble! Can she find a way to earn enough money to save him? 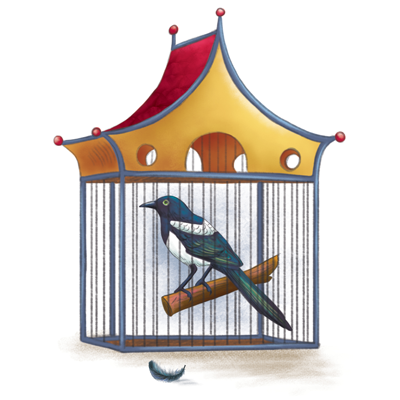 Is the Magic Magpie a friend or foe? 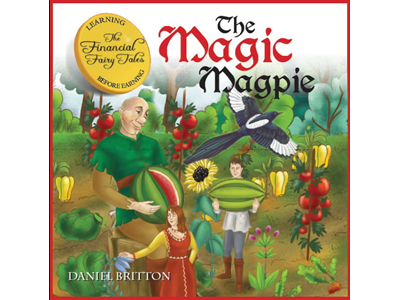 The Magic Magpie contains several excellent lessons around financial decision making, doing the right thing and the consequences of our actions. Everyone and everything crossing over the bridge had to pay the Troll Tax. It had always been that way, and no-one ever questioned it… Until a young boy dared to ask why? 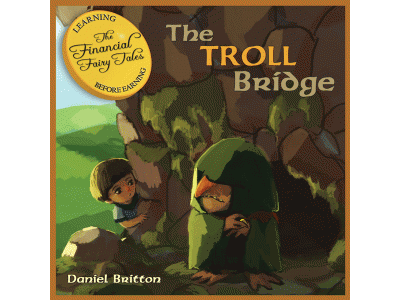 The Troll Bridge has many financial and money themes including tax, supply and demand, trade and public spending; all wrapped up in a fun and entertaining story. Perfect for enquiring minds and teaching younger children money values and ideas. 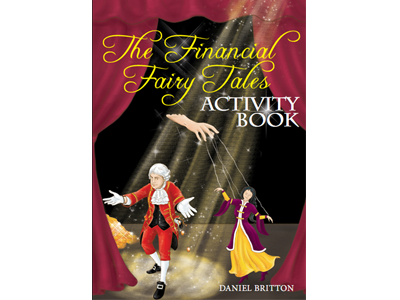 The Financial Fairy Tales Activity Book is full of games, tasks and puzzles to build upon the financial principles in the stories and take learning about money to a new level. Featuring over 50 pages packed with fun learning activities, your child will benefit from a greater financial education plus develop their literacy and maths skills, whilst exploring their imagination and dreams. 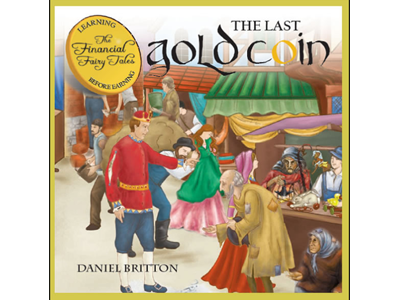 The Financial Fairy Tales is the concept of Daniel Britton, UK-based author, educator and speaker. Daniel spent his early career in banking and financial services before 20 years as a teacher and school leader. Recently he has specialised as an education consultant, writer and speaker on money matters. In 2013 he was awarded National Enterprise Tutor of the Year by The Peter Jones Foundation. 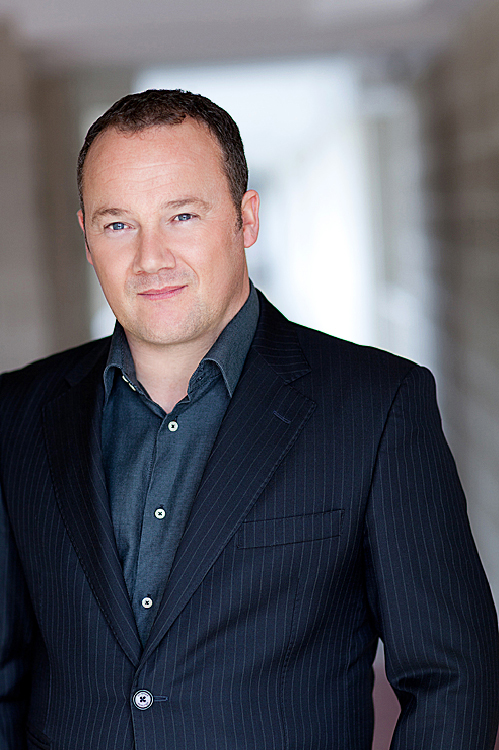 Daniel is available for speaking to corporate, education or parent audiences.